We are pleased to unveil our second Singapore boutique at Westgate, in the heart of Jurong Gateway. 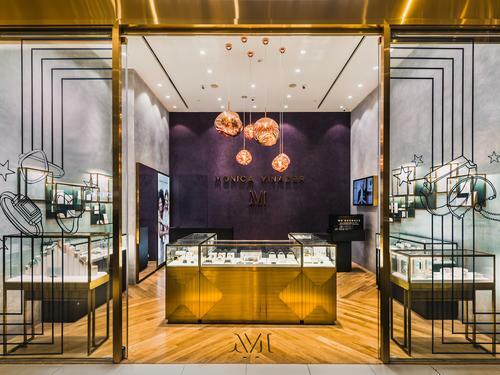 Customers enter the boutique underneath a brushed brass façade, past the floor-to-ceiling windows to discover a cube of gold jewellery vitrines displaying the full collection, lit by an eye-catching Tom Dixon installation of six 'Melt' pendants hanging at varying heights. 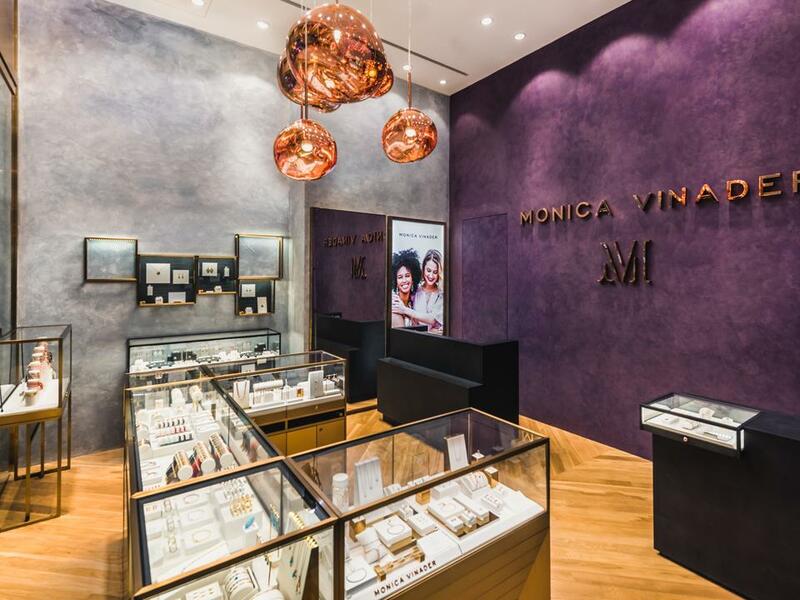 The back of the store features an iconic branded wall in a Monica Vinader signature berry shade, adding to the atmosphere of contemporary glamour. 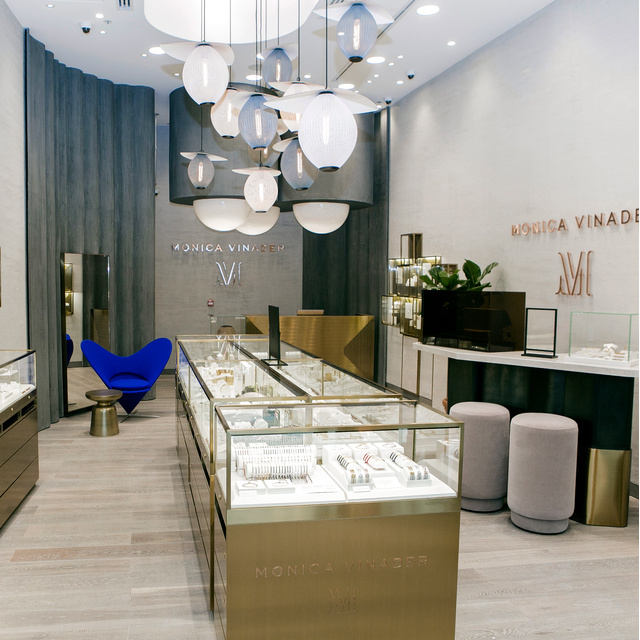 Bespoke brass feature boxes hang on either side of the boutique containing a series of pieces from Monica's personal collection. 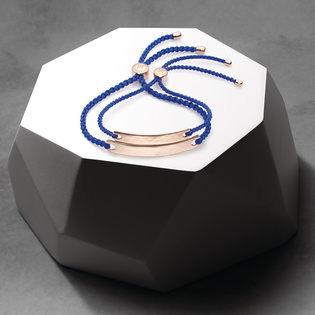 Design sketches and objects that have inspired her jewellery allow the customer to delve into Monica's world as they shop. 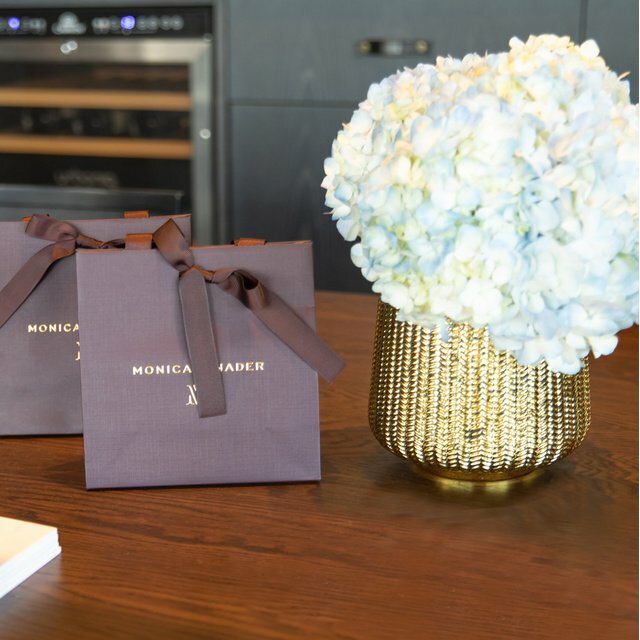 Bespoke brass feature boxes containing a series of pieces from Monica's personal collection. Our branded wall in the signature Monica Vinader berry shade. 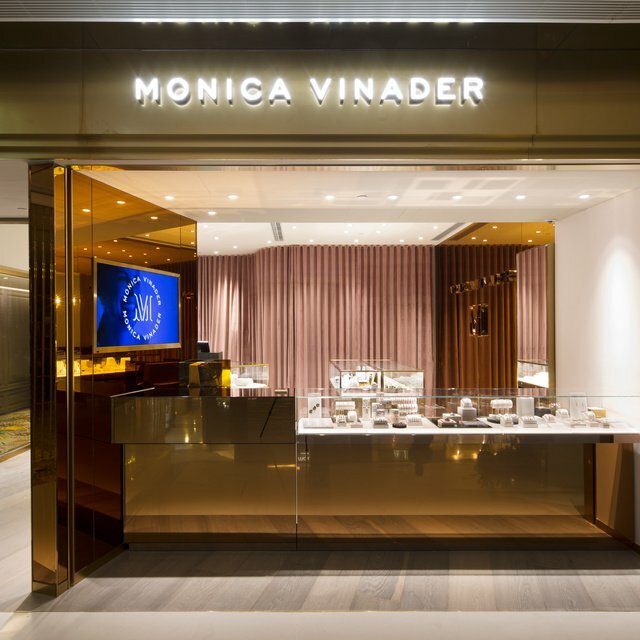 With personalisation remaining at the heart of the Monica Vinader experience, our new Westgate boutique features one of our signature engraving bars; a custom built, free-standing structure made from contemporary black steel and brass. 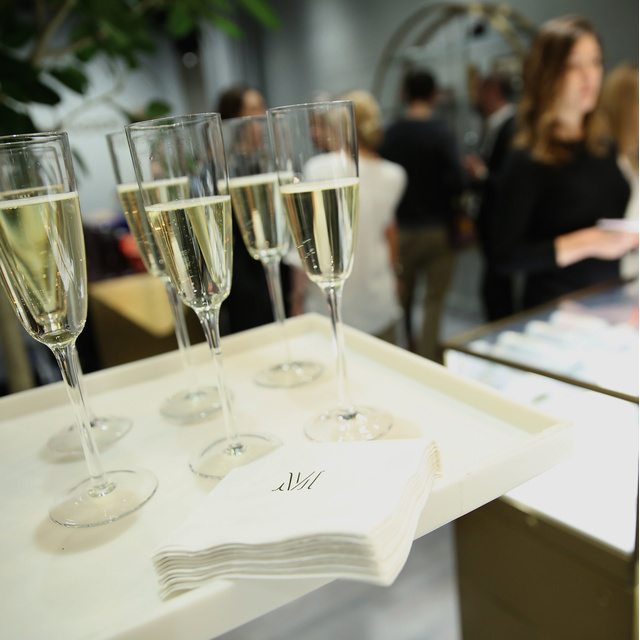 You will be able to personalise your Monica Vinader pieces with names, messages, motifs or even hand-drawn doodles using our complimentary, same-day engraving service. Tom Dixon installation of six 'Melt' pendants hanging at varying heights. 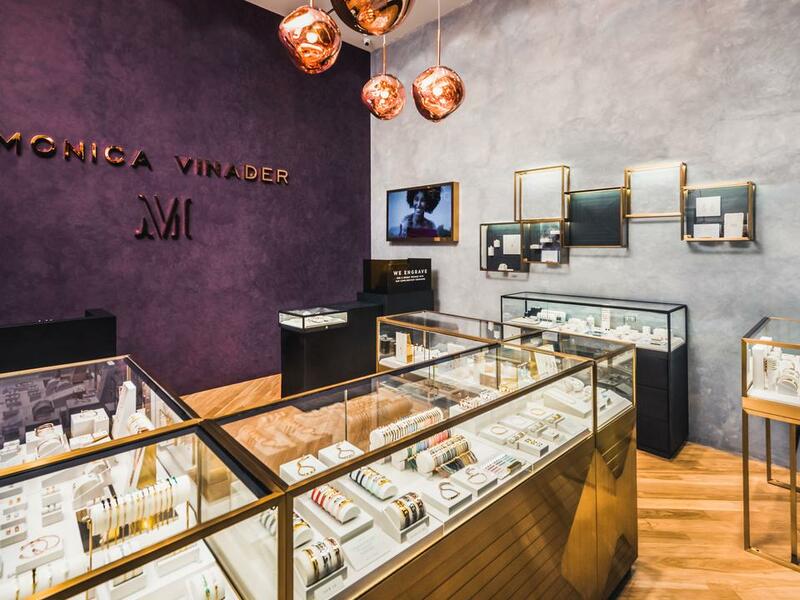 Come and visit our new boutique and discover the full Monica Vinader collections from friendship bracelets and genuine semi-precious gemstone pieces, to ethically-sourced pavé set diamond jewellery.